I would like to share some improvement suggestions for the Dashboard app. They are mainly seen from a dispatcher point of view, and not for a monitoring display screen, so they are centralized about the "All Notifications" list. 1. Change (default) view to "All Notifications" list. As a dispatcher the focus is on the notifications, and not the systems. It would be nice to be able the change the main window to the "All Notifications" list, insted of getting a popup window. It could be from the view menu, or by a separate launch-parameter/shortcut. 2. Sort columns in "All Notifications" list. 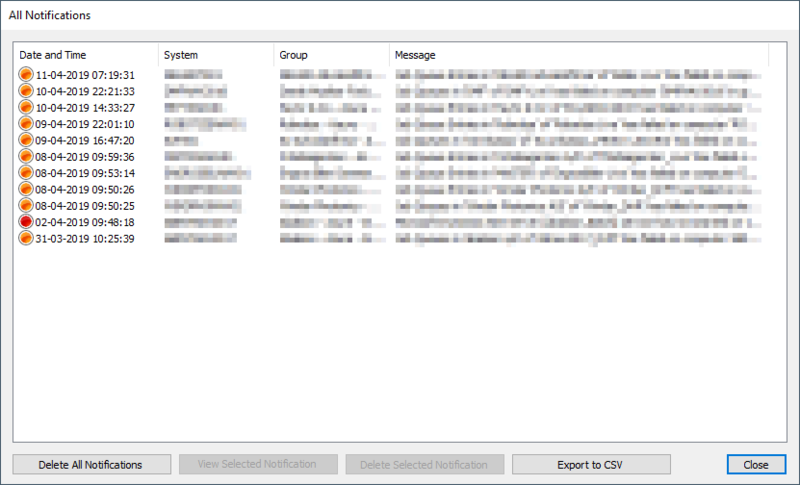 It is not possible to the sort the notification list by clicking column headers. That should be a very easy implementation, that brings value to the dispatcher. 3. Right-click actions on the notification list. A dispatcher doesn't only look at notification list. He also takes a notification. So it would be great with the possibility to run custom action, be right-clicking on notifications. It could be actions like "Assign notification", "Create Zendesk Ticket", "Send email", "Open system in webapp", "Write comment". It could be implemented by custom actions, like running executables or calling webservices. It could also be implemented by plugins. If a custom action (above idea no. 3) has been executed on a notification it should be visible on the notification list. It could be by a icon column, or the line changing color. It should be possible to put simple comments on a notification, both from the dashboard, and in all other apps. It should be easy the se that a notification has a comment on any notification list. You are welcome to contact me, if you need ideas to how it could be implemented. Thank you for your suggestions, we will consider the possibility to introduce this into the future release.